Highly regarded teachers, dedicated staff, enthusiastic students, and supportive families have made Sunrise an award winning school! As public school funding continues to decrease, your generous contributions mitigate those effects. It takes all of us to help our kids have a great educational experience. What Does the Sunrise PTA Fund? How Can I Contribute to My Sunrise Community? 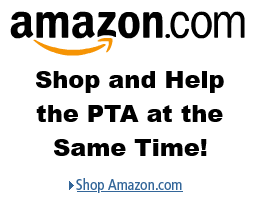 If you’d like to donate to help fund the activities of the Sunrise Elementary PTA, you can do so right here using PayPal. In October, we will host our Fall Fundraising Campaign for the Year to coincide with corporate giving programs such as the United Way or the Microsoft Employee Giving Campaign. Many companies offer employees a way to add a payroll deduction which may be earmarked for a specific charitable organizations – in this case Sunrise Elementary. In addition, company matching programs are the easiest way for you to increase your financial contributions to our Sunrise community. Please check with your employer on how to make the most of your contributions. If you have any questions about the PTA Employee/Employer Match program, please visit the Employer Matching page. The Sunrise PTA is a qualified 501(c)(3) organization which means that your donations are tax-exempt as well as eligible for matching thru many employer matching programs! Our EIN# is 91-1286397 and the official legal name is “Sunrise Elementary PTA – Northshore Council 6.10.42”. If you have any questions regarding fundraising, please contact Lindsey Fellows or Jenn Thomson. The Sunrise PTA sincerely thanks you for all your support.